Gone are the days when mowing the lawn was a regular chore amongst all gardeners. Artificial grass has fast become a favorite and paved the way with new fashions and low maintenance solutions for the new home owner as well as for corporate and commercial usage. There are different types of modern technologies and techniques used for the best artificial grass installation. Professionals in the industry carry out these techniques to deliver seamless finish. Although you can lay your artificial lawn yourself it is advisable to have the grass installed by professionals in the industry to avoid any costly mistakes. The beauty of artificial grass installation is that it can by laid on almost any surface area. From concrete, wooden decking to flat roofs. The grass itself comes in long sheets that’s are cut into different shapes and into stripes depending on the type of project. The process of artificial grass installation allows for changes needed to complete the final result required for the project. 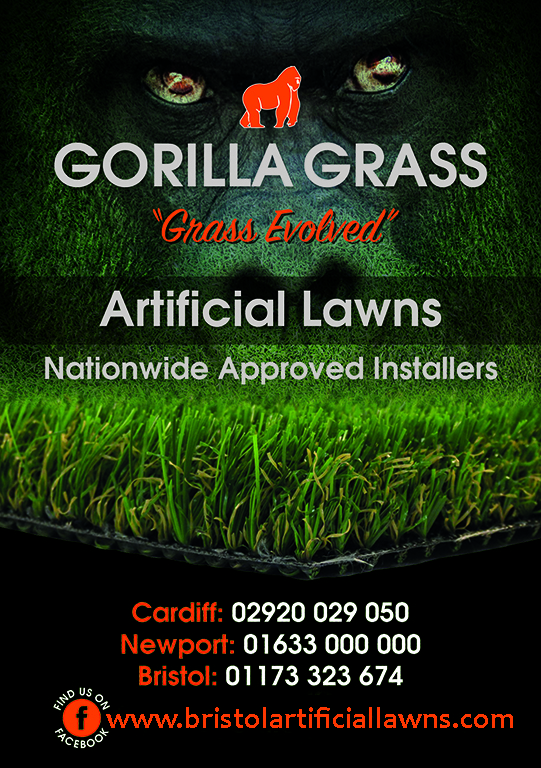 Here at Bristol Artificial Lawns we are the official South West supplier of Gorilla Grass. As well as offering of variety of different types of artificial grass we also offer an installation service for all of our clients. All of our installations are carried out by our trained team of professionals who are experts in the industry. If you would like to discuss your requirements with a member of our Bristol Artificial Lawns team, get in touch today and we will happily advise you further. We also offer a call out consultation to give you accurate advice and quotes for your project.